Selfies. Photobombs. Headshots. Snapchats. Profile Pictures. We live in a highly visual world where our pictures share our stories, allow people into our lives and create lasting memories that we can review time and time again with the simple click of a button. They help us visualize the moment, the people, the feeling. While we indulge ourselves in our daily lives with capturing and surrounding ourselves in photos, preserving the details of our day, we often forget that this isn't just a trend, it's become a way of life, an expectation. When you post photos of your building or unit, you're taking part in the newest and fastest social shift of our time, and applying it to business. This is smart, pat yourself on the back. You already know that the existing generations and those to come, will want you to help them visualize how your business - your properties & suites - can be a part of their lives. They will want to envision themselves taking a selfie on the balcony with the sun setting in the background. They will want to be able to 'see' their furniture, their art, their pets, their friends enjoying the spaces that you have to offer. We are a visual community - we judge, analyze and make decisions every single day based on the images we see. What do you think happens when your prospect sees this? Nothing. Nothing happens because your prospect just closed your web page and you lost a lead. Correction: you didn't lose a lead at all - they weren't tempted to rent from you in the first place! We've been told all throughout our lives that the first impression is the lasting one. What kind of message do you send when your photos are sub-par? 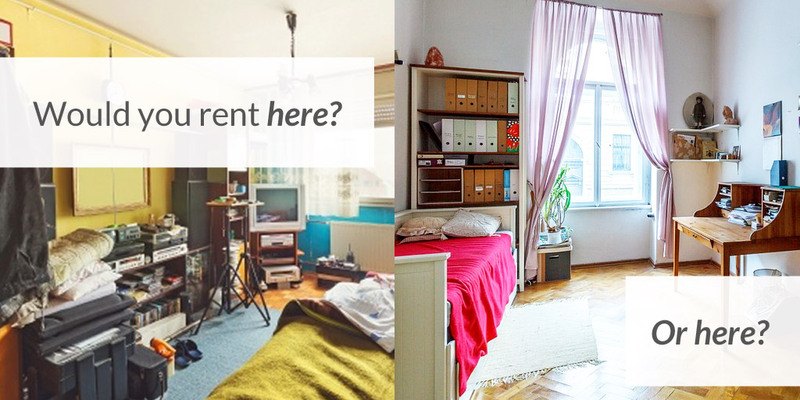 Images are so important to the rental industry. The pictures of your building and units are key to the decision making process in so many prospects' minds. Show them what it's like to live in your building. Show them where they could potentially make a home. Show them where they can take new photos to share, by inspiring them with the images you present in your ads and website. Prepare ahead of time. When taking exterior and interior photos of your building and common areas, let the tenants know some areas will be 'off limits' for a short time, during a specific day. You don't want to show Mary from 4b doing her laundry while you're taking the laundry room pictures. Keep in mind the days when your building is maintained. Grass gets cut on a Thursday? Plan to take your pictures on Friday. Pick your camera equipment. The camera on your smartphone provides a high enough quality to print crisp images. Images for the web don't need to be that large. Ensure your camera is working, turn off your flash, give the lens a quick wipe with a soft cloth and get to work! If you do have a professional or hobbyist camera, put it to good use! Choose the right time of day. Natural light is your friend. You get the best light in the morning and in the early evening. During this time, turn off all interior lights - they can cast a yellow hue in your pictures. Bright, mid-day sunlight washes out your interiors and creates harsh shadows. If you have to take pictures during bright sunlight, close the curtains and turn on interior lights until the room is softly lit. Mind your C's. Clean your space before you photograph it. It's amazing what blemishes and misplaced items show up in pictures that you didn't notice in person. De-Clutter! 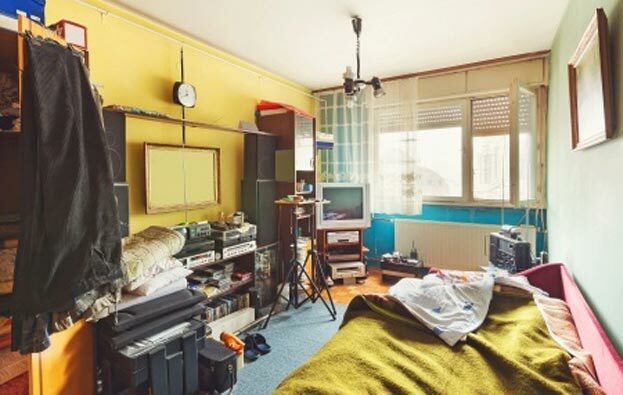 If you need to photograph a 'lived-in' space, clear off all counters, dressers, table tops and floors, leaving only a reasonable amount of decorative items out. A prospect can get turned off by other people's decor choices. Whenever possible, photograph an empty unit. Clear out of the way - no one wants to see the photographer in the photos. Make sure you're not photographing yourself in a mirror, window or other reflective surface. When in doubt, call a professional. Taking photos will take time out of your day and you should review them properly afterwards. There are many photo-editing apps on the market that will help you adjust your photos to make them look their best. If you don't have time to invest in committing to a start-to-finish photography project, hire someone to do it for you. Wondering what 'good' real estate pictures look like? Here are a few examples of LWS clients who have rocked their rental photos!